Estacada knew that they were up against a challenge in their season opener against Hood River Valley — a team that has advanced to the 5A state tournament in the last two seasons. 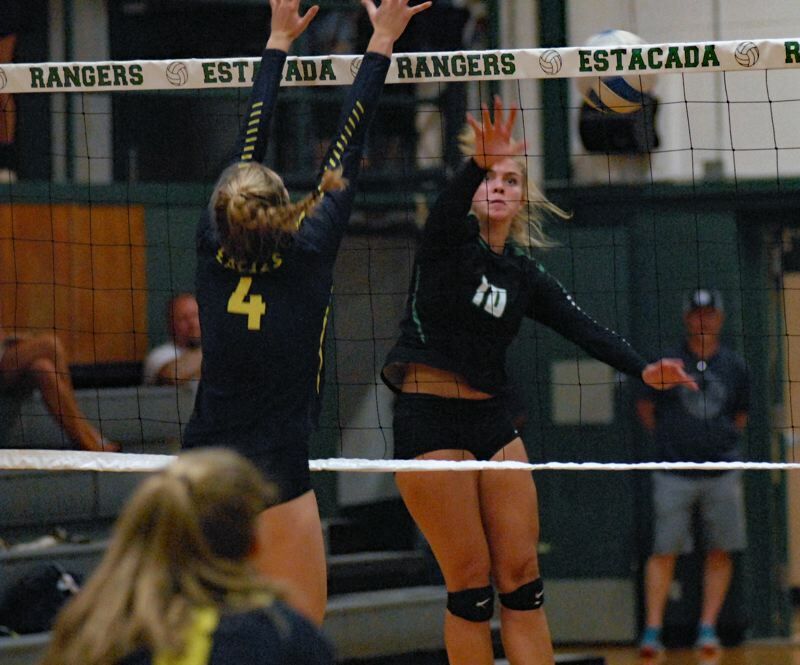 Even though they hung tough against the bigger squad, Hood River Valley proved to be too much for Estacada to handle as they defeated the Rangers in four sets (25-19, 25-22, 18-25, 25-16) on Tuesday, August 28. The Rangers looked a little overwhelmed by Hood River Valley in the first set as the Eagles jumped out to a 13-3 lead. But Estacada was unfazed by the deficit as they rallied to score 10 of the next 12 points to tie the game at 15. "It was a good first game for us," Estacada outside hitter Tessa Riedel said. "We played really hard and we communicated well with each other." Estacada claimed the third set on multiple kills by Trinity Gach and Sidnee Keller to jump out to a 10-1 lead. The Eagles slowly rallied back to cut the deficit to 21-17, but then gifted Estacada three points thanks to a trio of errors. Gach ended the game with a huge block at the net.